Today is Jean Genet‘s birthday (1910-1986). This entry was posted in Birthdays on December 19, 2010 by Michael Happy. 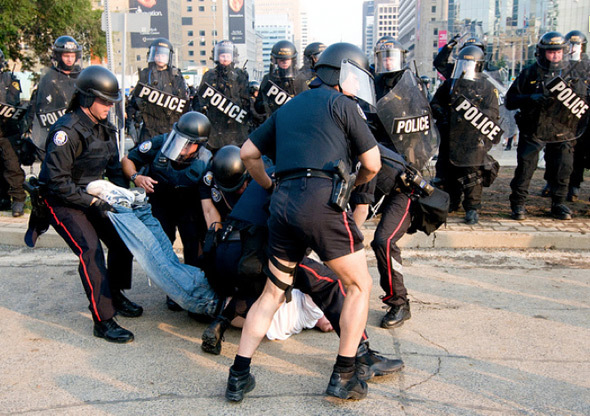 The Toronto Star has a story about complaints of police violence at last June’s G20 summit submitted to the Office of the Independent Police Review Director (OIPRD). Of the 400 official complaints, not one has resulted in an officer being reprimanded for injuries inflicted upon members of the public, despite eyewitness testimony corroborated by photos and video. This reflects the fact that in many instances the police are allowed to investigate themselves. This entry was posted in Current Events on December 19, 2010 by Michael Happy.